Anna Buchly stands out for her work on New Zealand’s biggest deals, including acting for blue chip clients, such as Air New Zealand and Crown Fibre Holdings, as well as world-leading private equity clients investing in New Zealand. 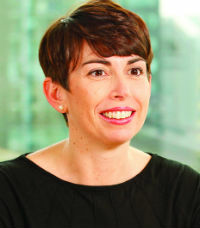 She has recently advised Blackstone on the $805m acquisition of Orica’s Australasian chemicals business, as well as Crown Fibre Holdings on its various contracts to the New Zealand government’s $1.5bn UltraFast Broadband project. Buchly’s strategic thinking and problem-solving skills are incredibly valuable to the firm, with her clients describing her as an “excellent lawyer” who has “an extremely strong work ethic”. Anna was appointed to the Bell Gully board in January 2015 and is also on the firm’s international strategy committee.